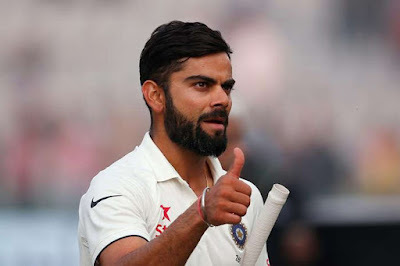 ICC Cricketer of the Year 2017 Virat Kohli has become only the second India batsman after Sunil Gavaskar to reach the 900-point mark in the latest MRF Tyres ICC Player Rankings for Test Batsmen, which were released on Thursday morning following the conclusion of the Centurion Test. Gavaskar, an ICC Cricket Hall of Famer, had achieved the milestone after his 50th Test when he scored 13 and 221 at The Oval in 1979 to jump from 887 points to 916 points, which remained his career-best. Kohli, who recorded his 21st century at Centurion, achieved the rare feat in his 65th Test after vaulting from 880 points to 900 points. Sachin Tendulkar and Rahul Dravid are the other two India batsmen who came close to the 900-point mark, but were unable to break the barrier. Tendulkar peaked at 898 points in 2002, while Dravid achieved 892 points in 2005. In doing so, Kohli has also leapfrogged Joe Root of England into second position as the top four positions continue to be occupied by Test captains who have all played in past ICC U19 Cricket World Cups. 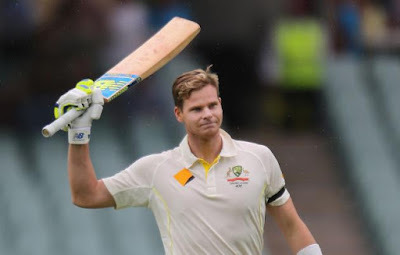 Kohli trails Smith by 47 points but now leads Root by 19 points, who, in turn, leads Kane Williamson by 26 points. Other batsmen inside the top 20 to head in the right direction are South Africa’s trio of Hashim Amla, Faf du Plessis and Dean Elgar, while batsmen to head in the opposite direction include Cheteshwar Pujara, Lokesh Rahul and Quinton de Kock. Amla, who scored 82 in the first innings, has moved up two places to eighth, while du Plessis has been rewarded for his contributions of 63 and 48 with a rise of two places that has given him a career-high ranking of 12th. Elgar has also gained two places and is now ranked 14th following scores of 31 and 61. In contrast, Pujara has slipped one place to sixth, Rahul has fallen six places to 18th and de Kock is 20thafter plummeting five places. Outside the top 20, South Africa opener Aiden Markram has made an impressive gain after lifting 10 places to share 38th position with Roston Chase of the Windies. In the last three Tests, Markram, who captained South Africa to the ICC U19 Cricket World Cup title in the UAE in 2014, has earned 20 places. In the bowlers’ table, Kagiso Rabada’s reign as the number-one ranked Test bowler has lasted just one Test as he has slipped behind James Anderson following an ordinary performance by his high standards. Rabada had figures of one for 74 and three for 47, which were not enough to keep him ahead of Anderson as he has dropped 16 points to now trail Anderson by 15 points. Ravichandran Ashwin and Vernon Philander were the other bowlers inside the top 10 to slip, going down one position each. Ashwin is now fifth, while Philander is seventh. However, India fast bowler Mohammed Shami has achieved a career-high ranking of 17th after taking five wickets in the match. South Africa’s Lungi Ngidi has made an impressive entry in the MRF Tyres ICC Player Rankings for Test Bowlers after debuting in 61st position. Ngidi took one for 51 and six for 39 to help South Africa to a 135 runs victory, which has given them an impregnable 2-0 lead in the three-Test series. There is no change in the top five all-rounders and Shakib Al Hasan continues to lead the field by a distance. Ravindra Jadeja is second, followed by Ashwin, Ben Stokes and Philander.